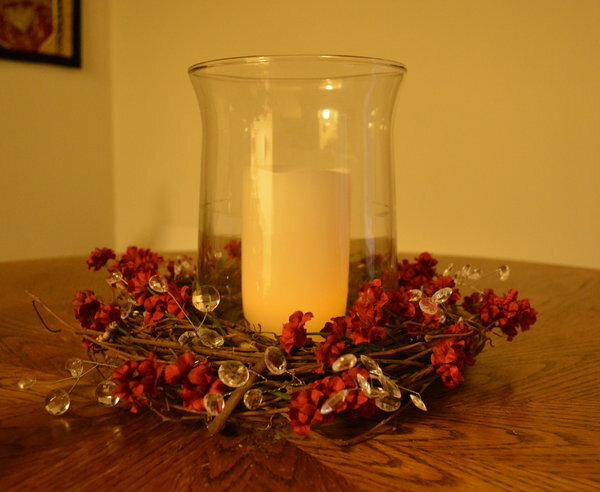 One of the things that is most fun about any holiday is decorating! 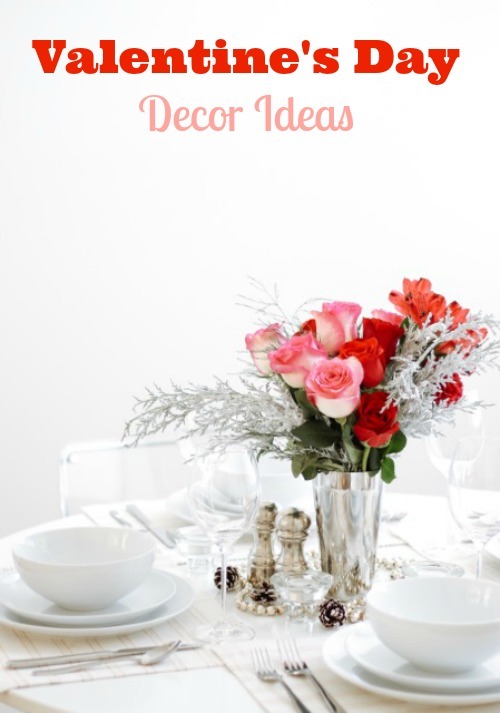 Here are a few Valentines Day Decor Ideas to help you set the mood for a fun, love centered day. I have gathered some really excellent Valentines Day Decor ideas revolving around flowers from Cameron Hardesty of UrbanStems , the on-demand floral delivery company. To make the most of your flowers this Valentine’s Day, try incorporating them into a full-on flower tablescape that you and your love and can enjoy before, during, and after February 14th. One of the best ways to draw attention to your flower arrangement while giving it a bit more volume and giving your table a luxe look is to surround your arrangement with a green garland. You may be able to find a pre-tied garland at your local wholesaler, which typically will accept walk-in orders in the mornings on weekends. Alternatively, you can make your own garland with ivy, eucalyptus, boxwood or other hardy greens from your garden. Gather them artistically, bind them with wire or twine, and encircle your flower container with greens. You may even take inspiration from bridal trends and use the garland in place of a table runner. Highlight the colors of your flower arrangement with items from your grocery store’s produce aisle, or the farmer’s market. 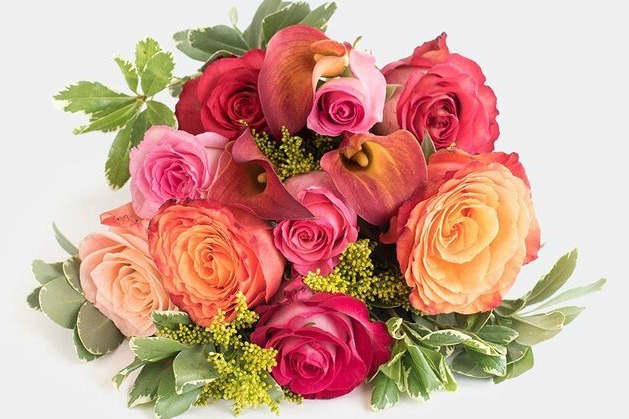 The vibrant yellow, orange and pink tones in the popular UrbanStems Valentine’s Day bouquet, The Grace, (shown below) would shine next to fresh, uncut lemons look in a clear glass vase with water, or fresh, halved pomegranates, with the seeds intact. To get the biggest visual effect from your Valentine’s Day flowers, split each stem or bunches of 1-3 stems into multiple bud vases of varying heights instead of arranging all your flowers into one larger vase. You can bunch the bud vases together for a more organic look, or arrange them in a line or geometric shape. Just in time for Valentine’s Day, UrbanStems has launched Sendflowersto.me, an interactive site that allows you to generate a custom hint and send it to anyone who needs a nudge on sending you flowers. Hearts are the ultimate symbol of Valentine’s Day so don’t forget them in your Valentines Day decor! 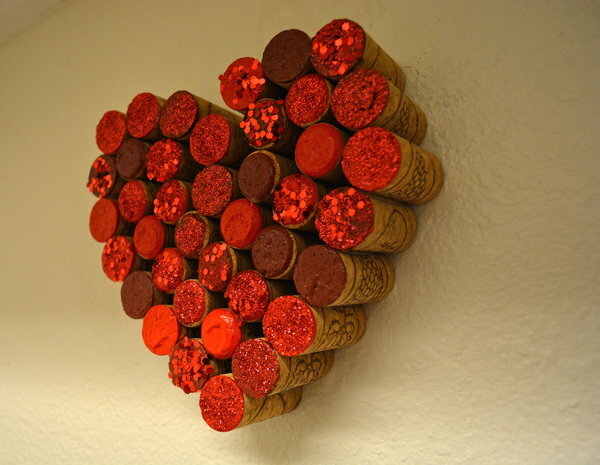 You can use paper hearts, make a heart banner, or even a wine cork heart for your wall. 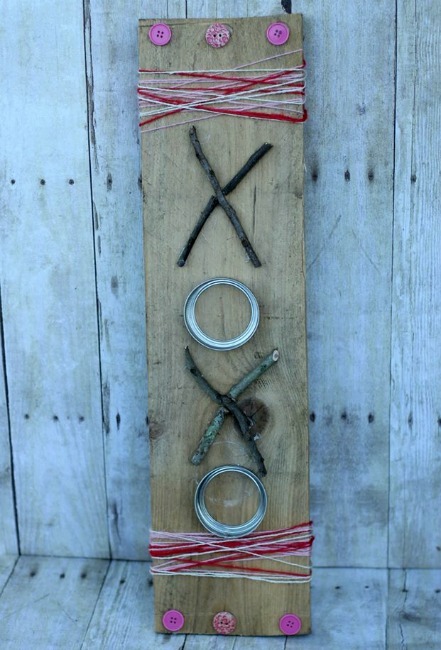 Buy or make your own love themed wall art such as the DIY Rustic XOXO sign above. Be liberal with signs or wall art that have Xs and Os, LOVE, or other Valentines Day decor messages. What are your favorite Valentines Day decor ideas?